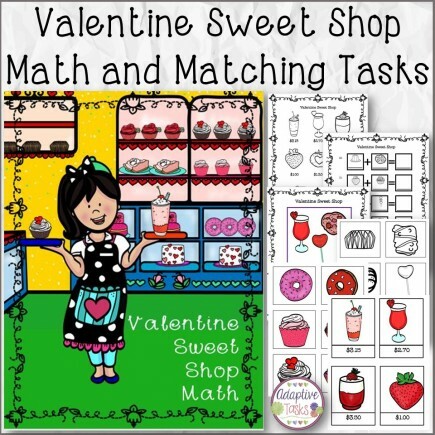 Valentine Sweet Shop is a themed activity to help with currency addition using menu prices and matching images to write in price and add. 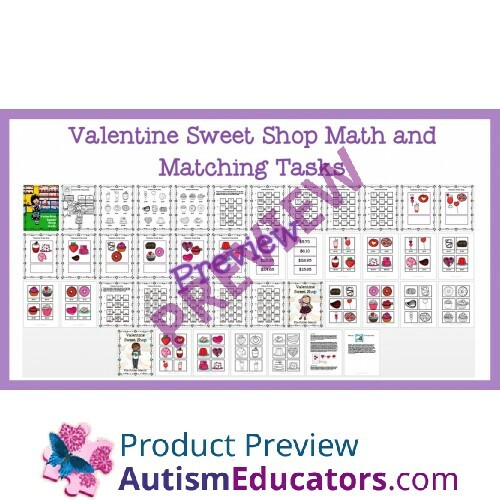 To follow there is a binder matching task for students to match priced product cards to the images shown on each page, then add to find the correct answer card. Also included is two file folder nonverbal matching tasks. *Answer key for math worksheets included. 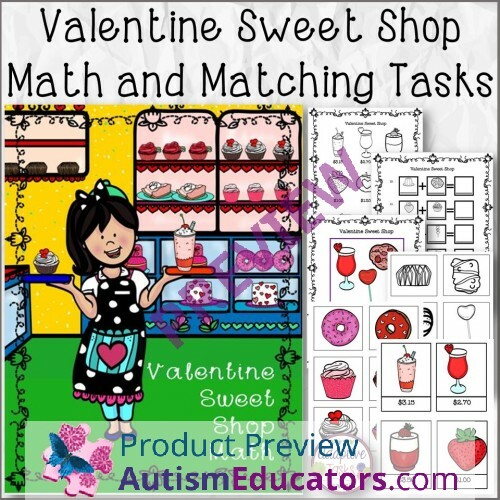 Great for Valentines Day, match centers and independent tasks.